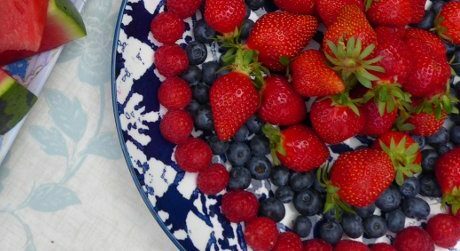 This is the first of a 2-part article on planning a vegan wedding buffet. It’s a huge topic so we’ve cherry picked some of the bits we think are important. This first part covers menu planning ideas and menu suggestions, a timetable for making the food and some flavour hacks. In the second part, coming next week, there are some last minute food ideas, venue tips and food hygiene info plus some troubleshooting. 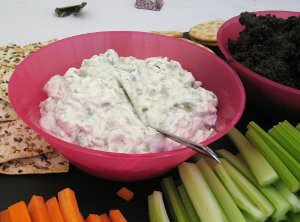 You can use these tips for most vegan buffets: birthday, Xmas, picnic etc. Ideally you’ll already have some experience of organising buffets. If you haven’t try and get some practice in before the wedding, as wedding buffets can be challenging and expectations are usually high. Good luck and feel free to contact us if you have got any questions that aren’t covered here. Play to your strengths – what are the killer dishes you make that everyone will enjoy at a wedding? Pick some of these that go together and build a menu around them. 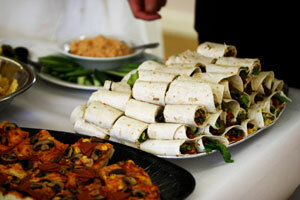 Is there a theme or style – Indian, Mediterranean, Chinese, pizza, picnic, salad bar, tapas, burgers, kebabs, finger food. Does anyone have allergies? We are requested to make gluten free options at almost every wedding we cater. Nut free is less common, soya-free requests not common at all for us. The law around labelling gluten free food is complicated: read about it on the Food Standards Agency’s website. Finger or fork? – if people aren’t eating at a table, try and have food that can picked up or eaten with a fork, because food that needs to be cut can be tricky if guests are balancing a plate on their knee or standing up and eating. How much time do you want to spend cooking – do you want a quick and easy menu or more complex? How much time can you allocate to preparing your food and how much time do you want to spend serving it? Try and roughly work out how long each dish will take to make and if you can make it in advance. Hot dishes and how many? People love hot food, but it makes things more complicated. You’ll have to time everything to be ready at the same time which can be stressful, especially as weddings often run late. You’ll need to work out if everything will fit into the oven and on the hobs too. You can make this easier by just having one or two hot dishes. Food that is time-consuming to cook is anything fried – burgers, pancakes, vegan fish and chips or falafel. Bakes such as lasagne or shep’s pie don’t need too much attention. Curries and chillis are fairly flexible but rice can be a faff, decide if you want it or possibly opt for flatbread (with curry) and nachos (with chilli). 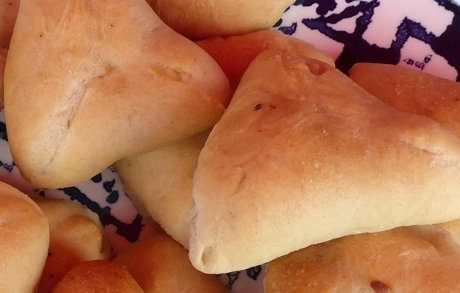 Pastries and bread-based – pizza, baby pasties, baby sausage rolls, fatayer, garlic bread. Sushi is a good gf option that is also popular. Hot savouries – lasagne, curries, burger, pies, chilli and croustade. Anything with seitan is popular and in general vegan meat is popular and so are wraps. A Mediterranean buffet which included frittata, falafel, wraps with roast veg, tapenade mini-quiches, fatayer, potato salad, tabouleh, focaccia bread, hummus, marinated olives and roast peppers. A salad bar with lots of salads, plus pastries. Vegan burgers, which work well in the evening as a snack. Getting back to the food..
Make sauces, dressings, dips, some sandwich fillings (e.g. hummus). Soak and cook beans if you aren’t using tinned. Make pastry cases and bake them off ready for their filling. Start pizza, foccacia and garlic bread – make the dough up to two days in advance and put in the fridge for a slow rise. A slow rise also improves the taste and texture of the bread. You’ve already made the pastry cases, now make the quiche or tart filling ready to put into the cases and bake off on the day. Make chillis, curries, lasagne etc. Make cakes, but no more than one day ahead. Make everything else on your list that you haven’t already made and that you aren’t making on the day. For some reason baba ganoush is one of the only dips to make on the day if you can because it loses its flavour. And because avocados don’t keep that well, guacamole dip tends to be the last thing we make before serving. Use the best quality cherry tomatoes you can get – some veg it doesn’t matter too much, with these it does. Don’t fridge tomatoes if you can avoid it, it affects their flavour. Salt makes a big difference, especially in dips, so get the salting right. Hot food has more flavour than cold. So for example if you are serving pastries cold, add salt so they taste right and then add a bit extra as dishes have less flavour when they are served cold. Use good quality tomato paste, sun dried tomato paste etc. instead of regular tomato puree. It makes a big difference to the flavour of lasagne, chilli, moussaka etc. Use pointed peppers in salads for their flavour. Use bell peppers for cooking as they are more fleshy which is an advantage when cooking, especially if you are charring the skin off.